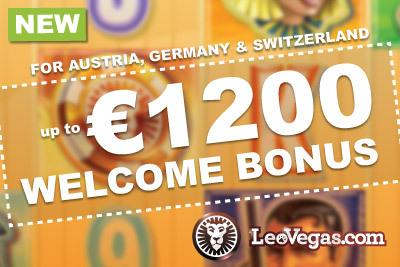 Leo Vegas have announced a brand new welcome bonus for their Austrian, German and Swiss casino players. It's bigger and better than their normal offer. Though it may seem unusual, Leo Vegas mobile casino have gone from having one standard offer to welcome everyone in, to suddenly splitting their attention, country by country. Last week we got the new Norway casino bonus of €4,000, and today we get a brand new casino bonus for players in Germany, Austria and Switzerland. This is clearly meant to be a ‘Germanic’ casino offer, though we are happy to say that if you live in the French or Italian part of Switzerland, you are welcome to this much higher welcome deposit bonus too. The reason for the German overtones is language, pure and simple. They have an excellent German team, but not Italian or French. For that you’ll have to speak with the brilliant english support. Now we’ve made that clear, let’s look at what you get, and why it’s so much better than the traditional offer. Register and you’ll get 20 free spins, no deposit needed, on the exclusive NetEnt game Vegas Party. What is Vegas Party you ask? And why should you care? It’s a NetEntertainment online and mobile slot created specifically for Leo Vegas casino. And before you ask, yes it’s a copy of another very famous NetEnt slot. But not just any NetEnt slot. It’s a copy of the excellent and wonderful Twin Spin machine. It just got a fresh coat of paint, with a Vegas theme added to the mix. You use to get the free spins on Starburst. 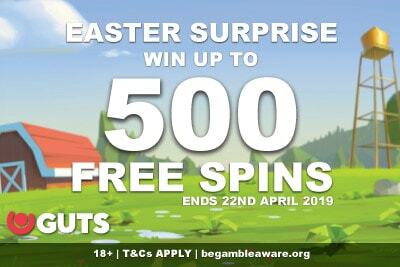 At 0.10 a spin, your 20 free spins was worth €2. With Twin sp… sorry, we mean Vegas Party, every spin is worth 0.25, giving you €5 worth of bets. Add that Vegas Party has a higher winning potential, and what you have here are higher value spins for high value wins. In case you are trying to work out the calculation in your head, in order to get the maximum amount of casino bonus you’ll need to deposit €300, getting €450 in bonus and playing with €750 in casino money. Of course, if you’re a more conservative player, then making a deposit of €50 will give you €75 in bonus, totalling €125. Don’t worry, they work it out all for you automatically when you make that first deposit. Well, technically you could argue that it isn’t. The original offer was 200% up to €50. So if all you wanted to deposit was €25, then yes, the original was better. But if you want to deposit more, then the new mobile bonus is clearly better all around. It just grabs a bigger pool of players that’s all. Once you’ve made your first deposit, you’ll get 20 free spins a day, for 9 days, on the Vegas Party slot. Technically, again, the only thing that has changed here is the slot game and the value of the spins. All for your benefit. So we will assume you read point 1, and move swiftly on. 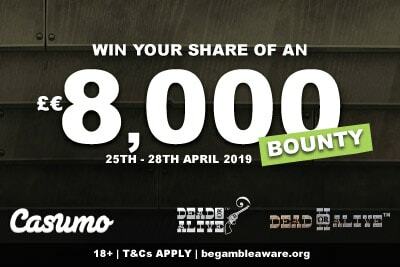 A standard double your money offer, deposit anything from 10 to 300 in cash and you’ll get double your real money to play with at Leo Vegas. The original offer actually gave you 50% up to €100 on your second, and 50% up to €200 on your third. So it seems that they have decided that what the Germany, Swiss and Austrian casino players really, really, want is more money. It’s a more generous offer all around. Which makes sense. How else are you going to win big? And last, but not least, the final stretch of the offer. At this point, you have well and truly fallen in love with Leo Vegas mobile casino (who wouldn’t? They are so very charming), and so they give you their last candy in the chocolate box casino bonus. That’s a 50% bonus up to €150 in cash. To get the max amount, you’ll need to deposit €300 in cash. 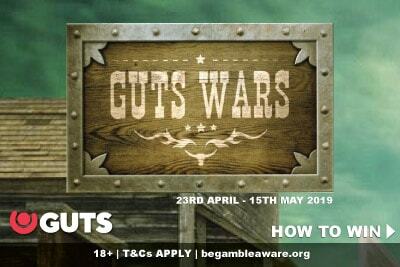 Or, if you make a deposit of €100, you’ll get €50 in bonus, and play with €150. The original only gave you 25% up to €300. So granted the max amount is more here, but you would have had to make a deposit of €1,200 to get it. So the amount you can get is lower, but easier to get. Leo Vegas’s original offer was already pretty generous. We’ve always liked it, and had no problem with it. However, seeing what the Austrian, German and Swiss casino players are going to get, we are incredibly jealous here in the UK as they’ve made some clear improvements. Not just in how much much bonus money you can get, which has increased from €700 to €1,200, but how much easier it is to get the top amount. ie. You don’t have to deposit as much to get more for your money. You get a little bit of everything. Time to go play.